I had a severe system crash, including RAID degradation on my Win XP Professional Box after disabling internal drive monitoring. Drive monitor could not read out S.M.A.R.T. Parameters of a iastor.sys controled HW(? )-RAID (SATA) on my ASUS Motherboard. So I decided to disable monitoring of this drive and only monitor external eSATA drive, where the backups are stored (this drive crashed 2 weeks ago with sector write errors during Acronis-Backup). 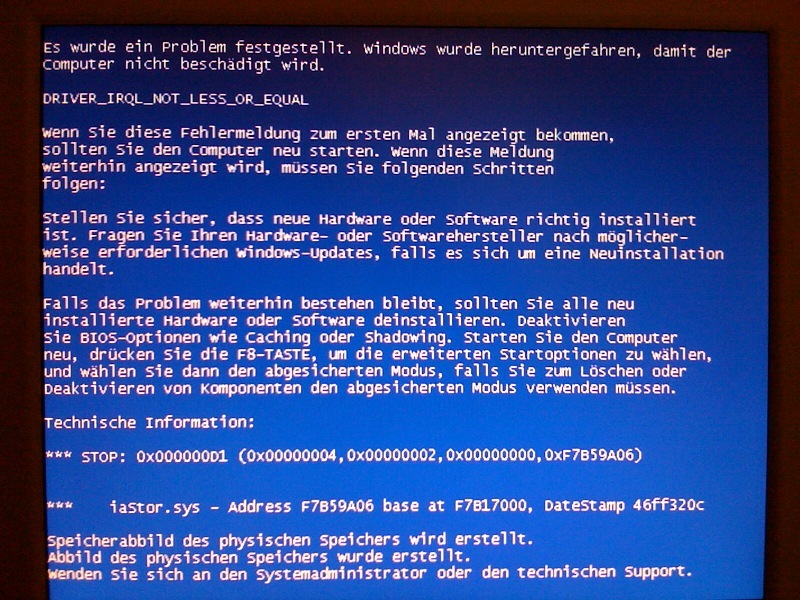 After pressing "okay" in the drive-monitor window, the system crashed with a blue-screen and the described RAID degradation. The reconstruction of the RAID I lasted 7 hours (which is, I think normal). So I uninstalled the drive-monitor. Now the system runns normal again (obviously). I think that the windows-component "iastor.sys" is the problem. Do you by any chance recall either the message or error number on the Blue Screen? OK the problem looks to be your RAID driver. IASTOR.sys belongs to the Intel Matrix Storage Driver. How or why it became corrupted with ADM I don't know. Hopefully Acronis might look in and let their development team know. Thank you for your comments! Colin, thank you for assistance! I have checked our internal databases: there are no known issue matching your description, so we need Development attention here. I have just sent them the details of the problem, and the link to the thread. They will check it and either post the reply here, or send us the update regarding the situation. In both cases we will update the thread with the latest information available. Please accept our sincere apologies for the inconvenience faced. Rest assures we will do our best to speed up the process of resolution. FrankO, I've received a reply from the Development team, and they are working on reproducing the issue, but they will need additional information. Could you please specify us the following? What is the version of the drive? What is the level of the RAID? This will get you to the system information. This information will help to shed the light onto the situation.